Starting ther tour to the islands of Callao. 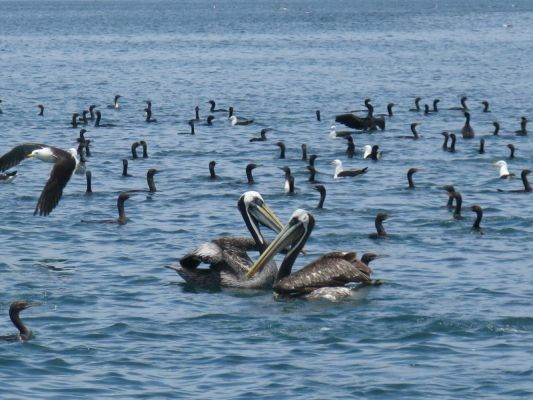 At first we observed the anchorage of yachts, warships and merchant ships in Callao bay. 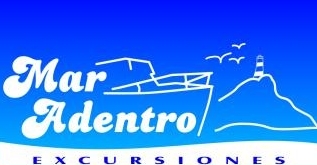 During the trip we will go by the low or sand bank "El Camotal", open sea "Mar Adentro".We passed the island of San Lorenzo, rich history that comes from pre-Columbian times until today. We see fishing boats, various colonies of guano birds and Humboldt penguins. We arrive at the farthest point, Palomino Island, which houses a large colony of sea lions (Sea wolves), where we can swim with neoprene suits with freedom among them, thanks to the absence of predators, is an unforgettable moment full of emotions. It begins the return through cliffs and islets of impressive shapes. A snack is served before arriving at the pier. Recommended (NOT included), lunch in Chucuito or La Punta, visit the naval museum, Abtao Submarine or the fortress of Real Felipe. We have a speed boat with wheelchair access. 1 How long takes the tour to the islands of Callao? 2 What time do they depart on regular departure? 3 Where do we start from? "Marina Club del Callao" - Av. Jorge Chávez No.120, Chucuito, Callao. 4 Where is the port? Near the ABTAO submarine museum, behind the real Felipe Fort. 5 Is there secure parking area? Yes, outside the club, municipal parking. 6 Is there a minimum or maximum age? 7Are there physical limitations for boarding? It depends on the attitude of the passenger. 8 How is the speedboat? 10 What clothes should I wear? 11 What else should I carry? 12 What is included in the tour? 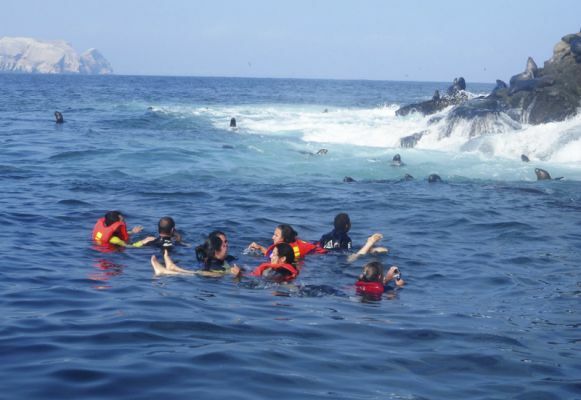 Safe boarding, standard vests, guided tour in Spanish and English, nature observation, standard wetsuit (small, medium, large) for swimming with sealions, snack, personal accident insurance of "La Positiva". 13 can I got dizzy? 14 I can not swim! Can I do the tour? 15 How is the tour? 16 How can I do the reservation or booking?